Divide the chocolate and vanilla beans between 4 glasses. Place the cream and milk in a saucepan over low heat and simmer for 2–3 minutes or until warmed through. Pour over the chopped chocolate, stirring until the chocolate is dissolved. Top with marshmallows and dust with cocoa to serve. Makes 4. * You can adjust this recipe to suit your taste. 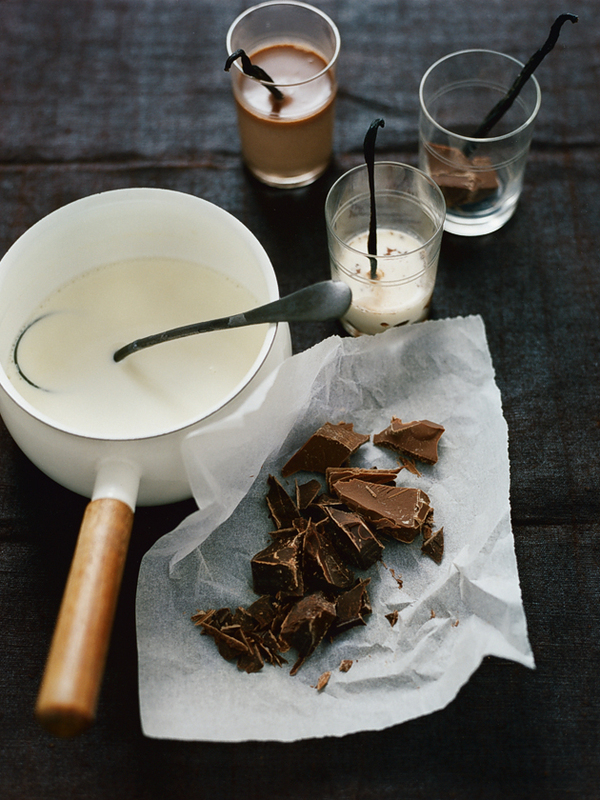 If you prefer a darker, richer brew, use more dark chocolate – we like anything up to 70 per cent cocoa. If you prefer a milder flavour, opt for more milk chocolate. You could also experiment with different flavours, such as adding a cinnamon stick to the milk while it’s simmering.